Thailand is a monarchy headed by King Bhumibol Adulyadej, Rama IX and governed by a military junta that took power in May 2014. The king is the ninth of the House of Chakri, and has reigned since 1946 as the world’slongest-serving current head of state and the country’s longest-reigning monarch. The King of Thailand’s titles include Head of State, Head of the Armed Forces, Adherent of Buddhism, and Upholder of religions. Although a constitutional system was established in 1932, the monarchy and military have continued to intervene periodically in politics.Thailand (/ˈtaɪlænd/ ty-land or /ˈtaɪlənd/ ty-lənd; Thai: ประเทศไทย, RTGS: Prathet Thai), officially the Kingdom of Thailand (Thai: ราชอาณาจักรไทย, RTGS: Ratcha Anachak Thai; IPA: [râːt.tɕʰā ʔāːnāːtɕàk tʰāj] ( listen)), formerly known as Siam (Thai: สยาม; RTGS: Sayam), is a country at the centre of the Indochina peninsula in Southeast Asia. It is bordered to the north by Burma and Laos, to the east by Laos and Cambodia, to the south by the Gulf of Thailand and Malaysia, and to the west by the Andaman Sea and the southern extremity of Burma. Its maritime boundaries include Vietnam in the Gulf of Thailand to the southeast, and Indonesia and India on the Andaman Sea to the southwest. With a total area of approximately 513,000 km2 (198,000 sq mi), Thailand is the world’s 51st-largest country. It is the 21st-most-populous country in the world, with around 65 million people. The capital and largest city isBangkok, which is Thailand’s political, commercial, industrial, and cultural hub. 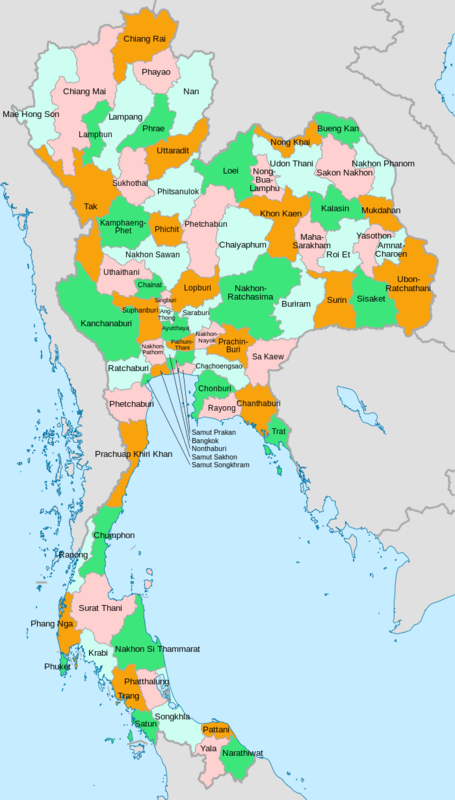 About 75–95% of the population is ethnically Tai, which includes four major regional groups: Central Thai, Northeastern Thai (Khon [Lao] Isan),Northern Thai (Khon Mueang); and Southern Thai. Thai Chinese, those of significant Chinese heritage, are 14% of the population, while Thais with partial Chinese ancestry comprise up to 40% of the population. 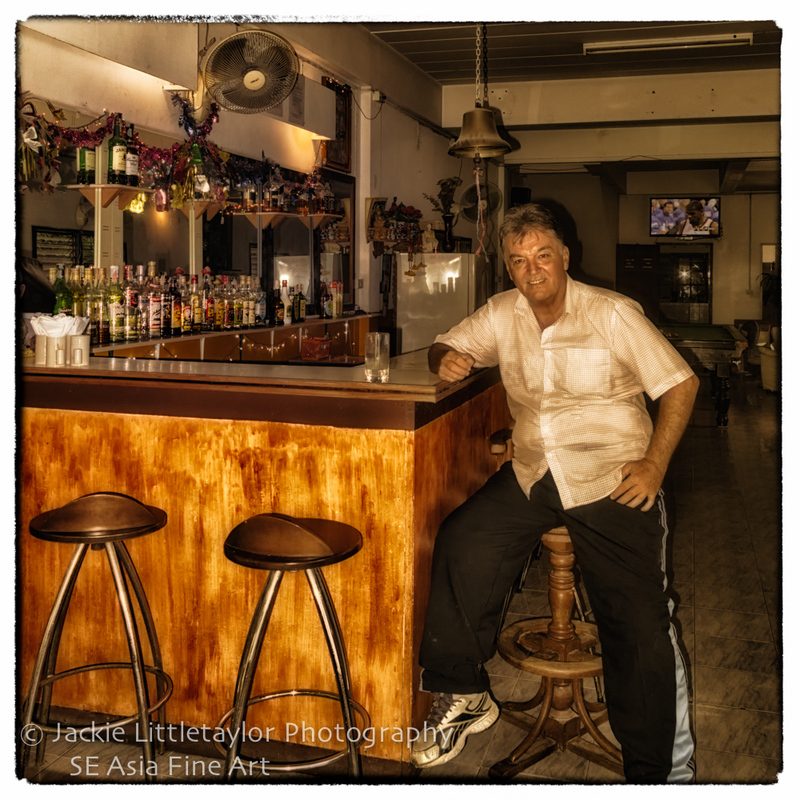 Thai Malays represent 3% of the population, with the remainder consisting of Mons, Khmers and various “hill tribes”. The country’s official language is Thai and the primary religion is Buddhism, which is practised by around 95% of the population. Thailand experienced rapid economic growth between 1985 and 1996, becoming a newly industrialized country and a major exporter. Manufacturing, agriculture, and tourism are leading sectors of the economy. Among the ten ASEAN countries, Thailand ranks second in quality of life and the country’s HDI had been rated as ‘high’. Its large population and growing economic influence have made it a middle power in the region and around the world. The country has always been called Mueang Thai by its citizens; but by others, by the exonym Siam (Thai: สยาม RTGS: Sayam, pronounced [sàjǎːm]). Also spelled Siem, Syâm or Syâma, it has been identified with the SanskritŚyāma (श्याम, meaning “dark” or “brown”). The names Shan and A-hom seem to be variants of the same word, and Śyâma is possibly not its origin but a learned and artificial distortion. 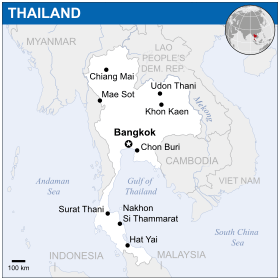 The word Thai (ไทย) is not, as commonly believed, derived from the word Thai (ไท) meaning “independence” in the Thai language; it is, however, the name of an ethnic group from the central plains (the Thai people). A famous Thai scholar argued that Thai (ไท) simply means “people” or “human being” since his investigation shows that in some rural areas the word “Thai” was used instead of the usual Thai word “khon” (คน) for people. 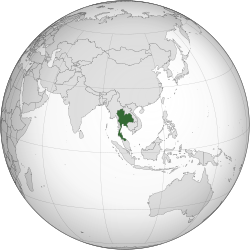 The Thai use the phrase “land of the freedom” to express pride in the fact that Thailand is the only country in Southeast Asia never colonized by a European power. While the Thai people will often refer to their country using the polite form Prathet Thai (Thai: ประเทศไทย), they most commonly use the more colloquial word Mueang Thai (Thai: เมืองไทย) or simply Thai (Thai: ไทย); the wordmueang (Thai: เมือง) meaning nation but most commonly used to refer to a city or town. Ratcha Anachak Thai (Thai: ราชอาณาจักรไทย) means “Kingdom of Thailand” or “Kingdom of Thai”. The ruins of Wat Chaiwatthanaramat Ayutthaya. The city was burned and sacked in 1767 by a Burmese army under the King Hsinbyushin. Ayutthaya’s expansion centred along the Menam while in the northern valley the Lanna Kingdom and other small Tai city-states ruled the area. In 1431, the Khmer abandoned Angkor after the Ayutthaya forces invaded the city. Thailand retained a tradition of trade with its neighbouring states, from China to India, Persia and Arab lands. Ayutthaya became one of the most vibrant trading centres in Asia. European traders arrived in the 16th century, beginning with the Portuguese, followed by the French, Dutch and English. The losses initially included Penang and eventually culminated in the loss of four predominantly ethnic-Malay southern provinces, which later became Malaysia’s four northern states, under theAnglo-Siamese Treaty of 1909. In 1939, the name of the kingdom, ‘Siam’, was changed to ‘Thailand’. During World War II, the Empire of Japan demanded the right to move troops across Thailand to the Malayan frontier. Japan invaded the country and engaged the Thai Army for six to eight hours before Plaek Pibulsonggram ordered an armistice. Shortly thereafter Japan was granted free passage, and on 21 December 1941, Thailand and Japan signed a military alliance with a secret protocol wherein Tokyo agreed to help Thailand regain territories lost to the British and French. Subsequently, Thailand declared war on the United States and the United Kingdom on 25 January 1942 and undertook to ‘assist’ Japan in its war against the Allies, while at the same time maintaining an active anti-Japanese resistance movement known as the Seri Thai. Approximately 200,000 Asian labourers (mainly romusha) and 60,000 Allied POWs worked on the Thailand–Burma Death Railway. After the war, Thailand emerged as an ally of the United States. As with many of the developing nations during the Cold War, Thailand then went through decades of political instability characterised by a number of coups d’état, as one military regime replaced another, but eventually progressed towards a stable, prosperous democracy in the 1980s. Kosa Pan presents King Narai’s letter to Louis XIV at Versailles, 1 September 1686. Bangkok’s Democracy Monument: a representation of the 1932 Constitution sits on top of two goldenoffering bowls above a turret. Prior to 1932, the Kingdom of Siam did not possess a legislature, as all legislative powers were vested within the person of the monarch. This had been the case since the foundation of the Sukhothai Kingdom in the 12th century: as the king was seen as a “Dharmaraja” or “King who rules in accordance with Dharma” (the Buddhist law of righteousness). However on 24 June 1932 a group of civilians and military officers, calling themselves the Khana Ratsadon (or People’s Party) carried out a bloodless revolution, in which the 150 years of absolute rule of the House of Chakri was ended. In its stead the group advocated a constitutional form of monarchy with an elected legislature. The “Draft Constitution” of 1932 signed by King Prajadhipok, created Thailand’s first legislature, a People’s Assembly with 70 appointed members. The assembly met for the first time on 28 June 1932, in the Ananda Samakhom Throne Hall. The Khana Ratsadon decided that the people were not yet ready for an elected assembly; however they later changed their minds. By the time the “permanent” constitution came into force in December of that year, elections were scheduled for 15 November 1933. The new constitution also changed the composition of the assembly to 78 directly elected and 78 appointed (by the Khana Ratsadon) together compromising 156 members. A succession of military dictators followed Pridi’s ousting — Phibun again, Sarit Dhanarajata and Thanom Kittikachorn — under whom traditional, authoritarian rule was combined with increasing modernisation and westernisation under the influence of the U.S. The end of the period was marked by Thanom’s resignation, following a massacre of pro-democracy protesters led by Thammasat students. Thanom misread the situation as a coup d’état, and fled, leaving the country leaderless. HM appointed Thammasat University chancellor Sanya Dharmasakti PM by royal command. For events subsequent to the abdication of the king, including the name change of 1939, up to the coup d’état of 1957, see Plaek Pibulsonggram. Ananta Samakhom Throne Hall, the old meeting place of the National Assembly; now only the State Opening is held there. The 1997 Constitution was the first constitution to be drafted by popularly elected Constitutional Drafting Assembly, and was popularly called the “People’s Constitution”. The 1997 Constitution created a bicameral legislatureconsisting of a 500-seat House of Representatives (สภาผู้แทนราษฎร, sapha phu thaen ratsadon) and a 200-seat Senate (วุฒิสภา, wutthisapha). For the first time in Thai history, both houses were directly elected. The two houses of the National Assembly have two different terms. In accordance with the constitution the Senate is elected to a six-year term, while the House is elected to a four-year term. Overall the term of the National Assembly is based on that of the House. The National Assembly each year will sit in two sessions an “ordinary session” and a “legislative session”. The first session of the National Assembly must take place within thirty days after the general election of the House of Representatives. The first session must be opened by the king in person by reading a Speech from the Throne; this ceremony is held in the Ananta Samakhom Throne Hall. He may also appoint the crown prince or a representative to carry out this duty. It is also the duty of the king to prorogue sessions through a Royal Decree when the House term expires. The king also has the prerogative to call extraordinary sessions and prolong sessions upon advice of the House of Representatives. The National Assembly may host a “Joint-sitting” of both Houses under several circumstances. These include: The appointment of a regent, any alteration to the 1924 Palace Law of Succession, the opening of the first session, the announcement of policies by the Cabinet of Thailand, the approval of the declaration of war, the hearing of explanations and approval of a treaty and the amendment of the Constitution. Members of the House of Representatives served four-year terms, while senators served six-year terms. The 1997 People’s Constitution also promoted human rights more than any other constitutions. The court system (ศาล, san) included a constitutional court with jurisdiction over the constitutionality of parliamentary acts, royal decrees, and political matters. The PollWatch Foundation, Thailand’s most prominent election watchdog, declared that vote buying in this election, specifically in the North and the Northeast, was more serious than in the 2001 election. The organization also accused the government of violating the election law by abusing state power in presenting new projects in a bid to seek votes. Without meeting much resistance, a military junta overthrew the interim government of Thaksin Shinawatra on 19 September 2006. The junta abrogated the constitution, dissolved Parliament and the Constitutional Court, detained and later removed several members of the government, declared martial law, and appointed one of the king’s Privy Counselors, General Surayud Chulanont, as the Prime Minister. The junta later wrote a highly abbreviated interim constitution and appointed a panel to draft a new permanent constitution. The junta also appointed a 250-member legislature, called by some critics a “chamber of generals” while others claimed that it lacks representatives from the poor majority. 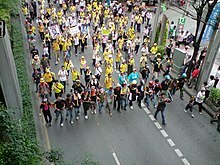 People’s Alliance for Democracy, Yellow shirts, rally on Sukhumvit Roadin 2008. United Front for Democracy Against Dictatorship, Red Shirts, protest onRatchaprasong intersection in 2010. The People’s Power Party (Thailand), led by Samak Sundaravej formed a government with five smaller parties. Following several court rulings against him in a variety of scandals, and surviving a vote of no confidence, and protesters blockading government buildings and airports, in September 2008, Sundaravej was found guilty of conflict of interest by the Constitutional Court of Thailand (due to being a host in a TV cooking program), and thus, ended his term in office. He was replaced by PPP member Somchai Wongsawat. As of October 2008, Wongsawat was unable to gain access to his offices, which were occupied by protesters from the People’s Alliance for Democracy. On 2 December 2008, Thailand’s Constitutional Court in a highly controversial ruling found the Peoples Power Party guilty of electoral fraud, which led to the dissolution of the party according to the law. It was later alleged in media reports that at least one member of the judiciary had a telephone conversation with officials working for the Office of the Privy Council and one other. The phone call was taped and has since circulated on the Internet. In it, the callers discuss finding a way to ensure the ruling PPP party would be disbanded. Accusations of judicial interference were levelled in the media but the recorded call was dismissed as a hoax. However, in June 2010, supporters of the eventually disbanded PPP were charged with tapping a judge’s phone. In April 2009, protests by the National United Front of Democracy Against Dictatorship (UDD, or “Red Shirts”) forced the cancellation of the Fourth East Asia Summit after protesters stormed the Royal Cliff hotel venue in Pattaya, smashing the glass doors of the venue to gain entry, and a blockade prevented the Chinese premier at the time, Wen Jiabao, from attending. The summit was eventually held in Thailand in October 2009. About a year later, a set of new “Red Shirts” protests resulted in 87 deaths (mostly civilian and some military) and 1,378 injured. When the army tried to disperse the protesters on 10 April 2010, the army was met with automatic gunfire, grenades, and fire bombs from the opposition faction in the army, known as the “watermelon”. This resulted in the army returning fire with rubber bullets and some live ammunition. During the time of the “red shirt” protests against the government, there have been numerous grenade and bomb attacks against government offices and the homes of government officials. Gas grenades were fired at “yellow-shirt” protesters, that were protesting against the “red-shirts” and in favor of the government, by unknown gunmen killing one pro-government protester, the government stated that the Red Shirts were firing the weapons at civilians. Red-shirts continued to hold a position in the business district of Bangkok and it was shut down for several weeks. On 3 July 2011, the oppositional Pheu Thai Party, led by Yingluck Shinawatra (the youngest sister of Thaksin Shinawatra), won the general election by a landslide (265 seats in the House of Representatives, out of 500). She had never previously been involved in politics, Pheu Thai campaigning for her with the slogan ‘Thaksin thinks, Pheu Thai acts’. Yingluck is the nation’s first female prime minister and her role was officially endorsed in a ceremony presided over by King Bhumibol Adulyadej. The Pheu Thai Party is a continuation of Thaksin’s Thai Rak Thai party. In response to the Electoral Commission (EC)’s registration process for party-list candidates—for the scheduled election in February 2014—anti-government protesters marched to the Thai-Japanese sports stadium, the venue of the registration process, on 22 December 2013. Suthep and the PDRC led the protest, estimating that 3.5 million people participated in the march; however, security forces claimed that approximately 270,000 protesters joined the rally. Yingluck and the Pheu Thai Party reiterated their election plan and anticipate presenting a list of 125 party-list candidates to the EC. On 20 May 2014 the Thai army declared martial law, however denied that this was a coup attempt and began to deploy troops in the capital. On 22 May, the Army announced that it was a coup and that it was taking control of the country and suspending the country’s constitution. Also on the same day, the military announced they were imposing a curfew between the hours of 10 pm and 5 am local Thai time requiring no resident or tourist go outside without approval of military authorities. On 21 August 2014 theNational Assembly of Thailand, which had recently been stacked with handpicked military officers, elected the army chief, General Prayut Chan-o-cha, as prime minister. Each province is divided into districts and the districts are further divided into sub-districts (tambons). As of 2006 there are 877 districts (อำเภอ, amphoe) and the 50 districts of Bangkok (เขต, khet). Some parts of the provinces bordering Bangkok are also referred to asGreater Bangkok (ปริมณฑล, pari monthon). These provinces include Nonthaburi, Pathum Thani, Samut Prakan, Nakhon Pathom and Samut Sakhon. The name of each province’s capital city (เมือง, mueang) is the same as that of the province. For example, the capital of Chiang Mai province (Changwat Chiang Mai) is Mueang Chiang Mai or Chiang Mai. The Malay peninsula provinces were infiltrated by the Japanese during World War II, and by the Malayan Communist Party (CPM) from 1942 to 2008, when they decided to sue for peace with the Malaysian and Thai governments after the CPM lost its support from Vietnam and China subsequent to the Cultural Revolution. Recent insurgent uprisings may be a continuation of separatist fighting which started after World War II with Sukarno’s support for the PULO, and the intensification. Most victims since the uprisings have been Buddhist and Muslim bystanders. View of the Luang Prabang Rangestraddling the Thai/Lao border in northern Thailand. Totalling 513,120 square kilometres (198,120 sq mi), Thailand is the world’s 51st-largest country by total area. It is slightly smaller than Yemen and slightly larger than Spain. 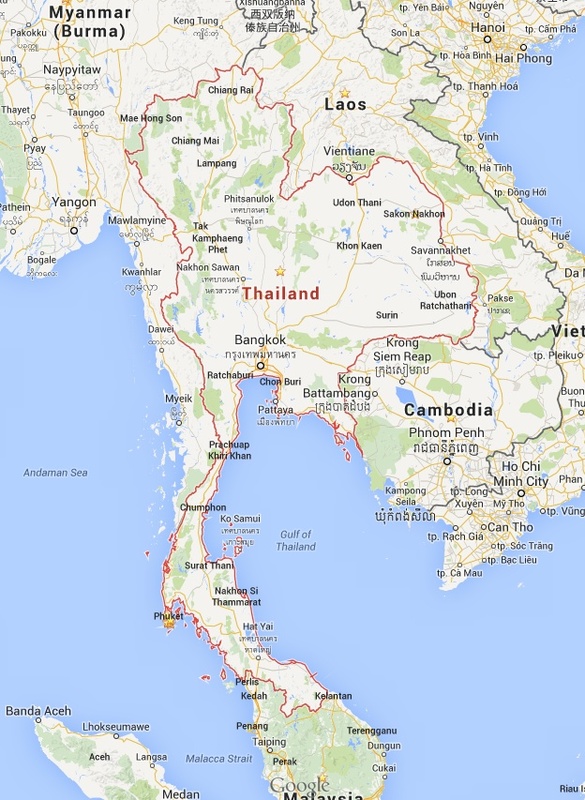 Southern Thailand consists of the narrow Kra Isthmus that widens into the Malay Peninsula. Politically, there are six geographical regions which differ from the others in population, basic resources, natural features, and level of social and economic development. The diversity of the regions is the most pronounced attribute of Thailand’s physical setting. The Chao Phraya and the Mekong River are the sustainable resource of rural Thailand. Industrial scale production of crops use both rivers and their tributaries. 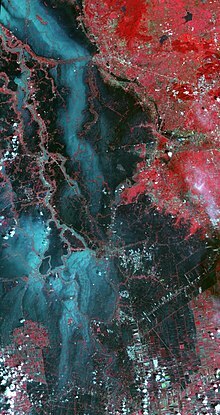 The Gulf of Thailand covers 320,000 square kilometres (124,000 sq mi) and is fed by the Chao Phraya, Mae Klong, Bang Pakong and Tapi Rivers. It contributes to the tourism sector owing to its clear shallow waters along the coasts in the Southern Region and the Kra Isthmus. The Gulf of Thailand is also an industrial centre of Thailand with the kingdom’s main port in Sattahip along with being the entry gates forBangkok’s Inland Seaport. The Andaman Sea is regarded as Thailand’s most precious natural resource as it hosts the most popular and luxurious resorts in Asia. 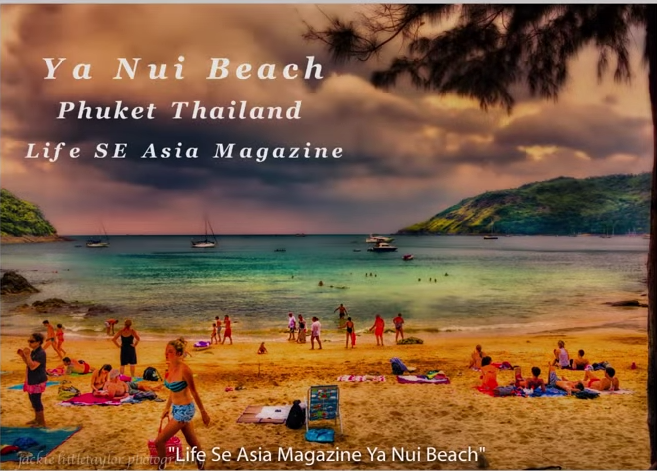 Phuket, Krabi, Ranong, Phang Nga and Trang and their lush islands all lay along the coasts of the Andaman Sea and despite the 2004 Tsunami, they continue to be and ever more so, the playground of the rich and elite of Asia and the world. Plans have resurfaced of a logistical connection of the two bodies of water which would be coined the Thai Canal, analogous to the Suez and the Panama Canal. Such an idea has been greeted with positive accounts by Thai politicians as it would cut fees charged by the Ports of Singapore, improve ties with China and India, lower shipping times and increase ship safety owing to pirate fears in the Strait of Melaka and, support the Thai government’s policy of being the logistical hub for Southeast Asia. There are no nuclear power plants in Thailand, although the development of one may occur in 2026. Presently, 80% of the country’s total energy comes from fossil fuels. Thailand was the largest rice exporter in the world. 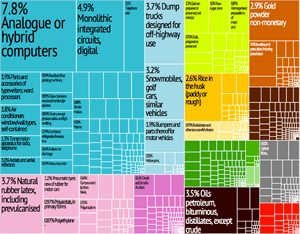 Graphical depiction of Thailand’s product exports in 28 color-coded categories. 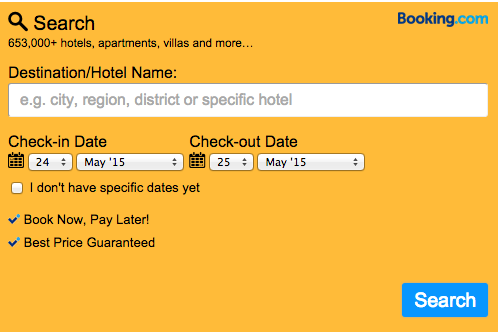 Thailand is an emerging economy and is considered a newly industrialized country. After experiencing the world’s highest growth rate from 1985 to 1996 — averaging 12.4% annually — increased pressure on Thailand’s currency, the baht, in 1997, the year in which the economy contracted by 1.9%, led to a crisis that uncovered financial sector weaknesses and forced the Chavalit Yongchaiyudh administration to float the currency. However, Prime Minister Chavalit Yongchaiyudh was forced to resign after his cabinet came under fire for its slow response to the crisis. The baht was pegged at 25 to the US dollar from 1978 to 1997; however, the baht reached its lowest point of 56 to the US dollar in January 1998 and the economy contracted by 10.8% that year, triggering the Asian financial crisis. Thailand’s economy started to recover in 1999, expanding 4.2% and 4.4% in 2000, thanks largely to strong exports. Growth (2.2%) was dampened by the softening of the global economy in 2001, but picked up in the subsequent years owing to strong growth in Asia, a relatively weak baht encouraging exports and increasing domestic spending as a result of several mega projects and incentives of Prime Minister Thaksin Shinawatra, known as Thaksinomics. Growth in 2002, 2003 and 2004 was 5–7% annually. Growth in 2005, 2006 and 2007 hovered around 4–5%. Due both to the weakening of the US dollar and an increasingly strong Thai currency, by March 2008, the dollar was hovering around the 33 baht mark. While Thaksinomics has received criticism, official economic data reveals that between 2001 and 2011, Isaan’s GDP per capita more than doubled to US$1,475, while, over the same period, GDP in the Bangkok area increased from US$7,900 to nearly US$13,000. Thailand exports an increasing value of over $105 billion worth of goods and services annually. Major exports include Thai rice, textiles and footwear, fishery products, rubber, jewellery, cars, computers and electrical appliances. Rice is the most important crop in the country and Thailand had long been the world’s no.1 exporter of rice, until recently falling behind both India and Vietnam. Thailand has the highest percentage of arable land, 27.25%, of any nation in the Greater Mekong Subregion. 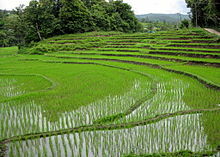 About 55% of the arable land area is used for rice production. It functions as an anchor economy for the neighboring developing economies of Laos, Burma, and Cambodia. Thailand’s recovery from the 1997–1998 Asian financial crisis depended mainly on exports, among various other factors. Thailand ranks high among the world’s automotive export industries along with manufacturing of electronic goods. Forty-nine per cent of Thailand’s labor force is employed in agriculture, however this is less than the 70% employed in 1980. Agriculture has been experiencing a transition from labour-intensive and transitional methods into a more industrialised and competitive sector. Between 1962 and 1983, the agricultural sector grew by 4.1% per year on average and continued to grow at 2.2% between 1983 and 2007. However, the relative contribution of agriculture to GDP has declined while exports of goods and services have increased. As of December 2011, the unemployment rate in Thailand stood at 0.4%. Following the Thai military coup on 22 May 2014, the AFP global news agency published an article that claimed that the nation was on the “verge of recession”. The article focused on the departure of nearly 180,000 Cambodians from Thailand due to fears of an immigration “clampdown”, but concludes with information on the Thai economy’s contraction of 2.1% quarter-on-quarter, from January to the end of March 2014. Ethnic Thais make up the majority of Thailand’s population, 95.9% in 2010. This number includes Thai Chinese, a historically and economically important minority. The remaining 4.1% of the population are Burmese (2.0%), others 1.3%, and unspecified 0.9%. Thailand’s population is largely rural, concentrated in the rice-growing areas of the central, northeastern, and northern regions. Its urban population is only around 45.7% as of 2010, concentrated mostly in and around the Bangkok Metropolitan Area. The country’s successful government-sponsored family planning program has resulted in a dramatic decline in population growth from 3.1% in 1960 to around 0.4% today. In 1970, an average of 5.7 persons lived in a Thai household. At the time of the 2010 census, the figure was down to 3.2 persons. Thailand is also host to several other minority languages, the largest of which is the Lao dialect of Isan spoken in the northeastern provinces. Although sometimes considered a Thai dialect, it is a Lao dialect, and the region in where it is traditionally spoken was historically part of the Lao kingdom of Lan Xang. In the far south, Yawi, a dialect of Malay, is the primary language of the Malay Muslims. Varieties of Chinese are also spoken by the large Chinese population, withTeochew being best represented. Thailand’s prevalent religion is Theravada Buddhism, which is an integral part of Thai identity and culture. Active participation in Buddhism is among the highest in the world; according to the last census (2000), 94.6% of the country’s population self-identified as Buddhists of the Theravada tradition. Muslims are the second largest religious group in Thailand, comprising 4.6% of the population. Islam is concentrated mostly in the country’s southernmost provinces:Pattani, Yala, Satun, Narathiwat and part of Songkhla Chumphon, which are predominantly Malay, most of whom are Sunni Muslims. Christians represent 0.7% of the population, with the remaining population consisting of Sikhs andHindus, who live mostly in the country’s cities. There is also a small but historically significant Jewish community in Thailand dating back to the 17th century. Its traditions incorporate a great deal of influence from India, China, Cambodia, and the rest of Southeast Asia. Thailand’s national religion, Theravada Buddhism, is central to modern Thai identity. Thai Buddhism has evolved over time to include many regional beliefs originating from Hinduism, animism, as well as ancestor worship. The official calendar in Thailand is based on the Eastern version of the Buddhist Era (BE), which is 543 years ahead of theGregorian (Western) calendar. 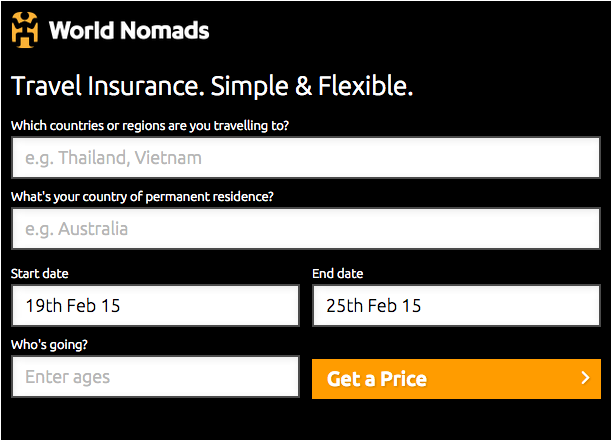 Thus the year 2014 is 2557 BE in Thailand. The traditional Thai greeting, the wai, is generally offered first by the younger of the two people meeting, with their hands pressed together, fingertips pointing upwards as the head is bowed to touch face to fingertips, usually coinciding with the spoken word “sawasdee khrap” for male speakers, and “sawasdee ka” for females. The elder may then respond in the same way. Social status and position, such as in government, will also have an influence on who performs the wai first. For example, although one may be considerably older than a provincial governor, when meeting it is usually the visitor who pays respect first. When children leave to go to school, they are taught to wai their parents to indicate their respect. The wai is a sign of respect and reverence for another, similar to the namaste greeting of India and Nepal. Taboos in Thailand include touching someone’s head or pointing with the feet, as the head is considered the most sacred and the foot the lowest part of the body. Thai cuisine blends five fundamental tastes: sweet, spicy, sour, bitter, and salty. Some common ingredients used in Thai cuisine include garlic, chillies, lime juice, lemon grass, and fish sauce. The staple food in Thailand is rice, particularly jasmine variety rice (also known as “hom mali” rice) which is included at almost every meal. Thailand was long the world’s largest exporter of rice, and Thais domestically consume over 100 kg of milled rice per person per year. Over 5,000 varieties of rice from Thailand are preserved in the rice gene bank of the International Rice Research Institute (IRRI), based in the Philippines. The king of Thailand is the official patron of IRRI. Thailand is the largest newspaper market in Southeast Asia with an estimated circulation of over 13 million copies daily in 2003. Even upcountry, out of Bangkok, the media flourish. For example, according to Thailand’s Public Relations Department Media Directory 2003–2004, the nineteen provinces of Isan, Thailand’s northeastern region, hosted 116 newspapers along with radio, TV, and cable. Muay Thai (Thai: มวยไทย, RTGS: Muai Thai, [muɛj tʰɑj], lit. “Thai boxing”) is a native form of kickboxing and Thailand’s national sport. It incorporates kicks, punches, knees and elbow strikes in a ring with gloves similar to those used in Western boxing and this has led to Thailand gaining medals at the Olympic Games in boxing. Takraw (Thai: ตะกร้อ) is a sport native to Thailand, in which the players hit a rattan ball and are only allowed to use their feet, knees, chest, and head to touch the ball. Sepak takraw is a form of this sport which is similar to volleyball. The players must volley a ball over a net and force it to hit the ground on the opponent’s side. It is also a popular sport in other countries in Southeast Asia. A rather similar game but played only with the feet is Buka ball. Rugby is also a growing sport in Thailand with the Thailand national rugby union team rising to be ranked 61st in the world. Thailand became the first country in the world to host an international 80 kg welterweight rugby tournament in 2005. The national domestic Thailand Rugby Union (TRU) competition includes several universities and services teams such as Chulalongkorn University, Mahasarakham University, Kasetsart University, Prince of Songkla University, Thammasat University, Rangsit University, the Thai Police, the Thai Army, the Thai Navy and the Royal Thai Air Force. Local sports clubs which also compete in the TRU include the British Club of Bangkok, theSoutherners Sports Club (Bangkok) and the Royal Bangkok Sports Club. Thammasat Stadium is a multi-purpose stadium in Bangkok. It is currently used mostly for football matches. The stadium holds 25,000. It is on Thammasat University’s Rangsit campus. It was built for the 1998 Asian Games by construction firm Christiani and Nielsen, the same company that constructed the Democracy Monument in Bangkok. The well-known Lumpini Boxing Stadium will host its final Muay Thai boxing matches on 7 February 2014 after the venue first opened in December 1956. 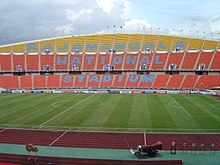 Managed by the Royal Thai Army, the stadium was officially selected for the purpose of muay Thai bouts following a competition that was staged on on 15 March 1956. From 11 February 2014, the stadium will relocate to Ram Intra Road, due to the new venue’s capacity to accommodate audiences of up to 3,500. Foreigners typically pay between 1,000–2,000 baht to view a match, with prices depending on the location of the seating.